In February of 1915 McBride residents opened a Reading Room in the train station. Committee members were elected and anyone who had games, papers or books to spare were encouraged to lend them. Users were charged a subscription fee of 25 cents per month. The Room had a set of rules, including that “Gambling, swearing, loud talking, scuffling, wrestling and throwing books and other articles about will not be tolerated.” In her Robson Valley Story, Marilyn Wheeler estimated that the Reading Room may have lasted until the station burned in 1918. In 1949, a group of McBride area residents became determined to establish a village library. They didn’t have a building or very much money; nevertheless, the McBride Public Library Association was formed. The sixty chartered members each contributed a dollar. These members were the founders of the library. Since it’s inception in 1949, the McBride (and now District wide) Public Library Association has gone from having no building of its own, to not much more than a shack, to what is now an exceptional Public Library for a town of this size. In the fall of 2016, we will once again be expanding when we move into our new space on Main Street. 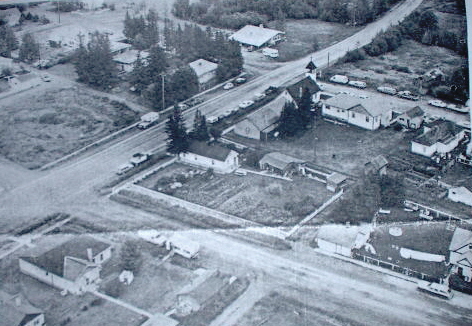 In 1949, the Village purchased a tiny building for the Library Association, and the McBride School Board lent them a piece of land to put it on. Located on Third Avenue, the small building was heated by an old wood stove. In fact, during the winter months the librarian had to go to work early in order to light a fire and warm the books. In 1967, the community was looking for a Centennial project. The solution came when they decided they should build a new library. With grants, savings, fundraising, and donations of labour, the new Centennial Library became a reality. It was located next to the Public Health Unit, where it is still located. Less than 20 years later, the Library again outgrew its space. This time the Expo Legacy Fund came to the rescue. The Library Association and the Valley Museum & Archives Society joined forces, applying for the grant to expand the building. They were successful, and the result is the present day Library and Museum. Before the current library building was built, costs were increasing faster than the Library Board could keep up with. It was decided after a successful referendum that the Regional District of Fraser-Fort George would provide the operating money through Robson Valley and McBride taxes. In 2001, the Library purchased the former Regional Health Unit building that was right next door to the Library. This building, now known as the Library Annex, has been of great use to the Library. Today it is used for special library programming, including a student study lab, and is available for community groups to rent for community functions. Once again the services of the library and museum have outgrown their space and we are working together to expand our facilities. To read about our new building plans, or to donate to our expansion project, please click here.